Product prices and availability are accurate as of 2019-04-21 08:04:12 UTC and are subject to change. Any price and availability information displayed on http://www.amazon.com/ at the time of purchase will apply to the purchase of this product. 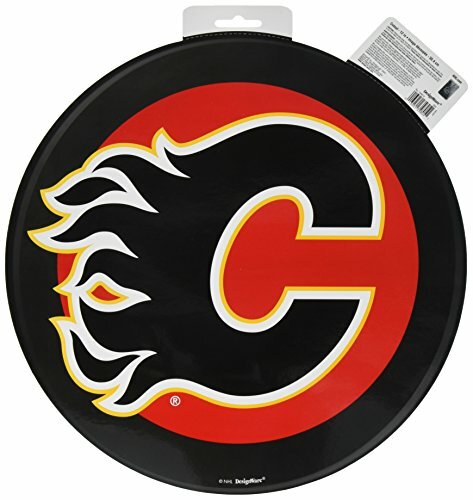 The righteous Flames sure will set your soul on fire for showing support and filling the place with our 12" Black Hockey Puck Laminated Cardstock Cutout with the Calgary Flames Logo to go along with the game and party energy. Great for any indoor or outdoor Game Day viewing or Calgary Flames Theme party or event. Hockey puck shaped laminated cardstock cutout. 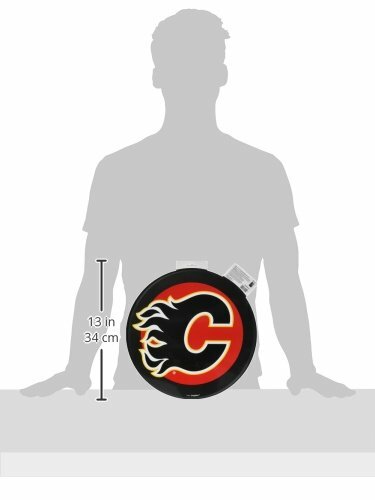 Features a black hockey with the official Calgary Flames logo. Each cutout measures 12". Single-sided printed which makes it perfect to be mounted on surfaces like walls with tacks or double sided tapes.